NEW DELHI: BlackBerryintroduced its new Android-based smartphone few days ago during the GITEX Technology Week in Dubai. Called as BlackBerry Motion, the smartphone is available in the Middle East for now. The Canadian smartphone brand has not yet mentioned when the handset will be launched in other countries. It has been launched at a price equivalent to Rs 30,000. 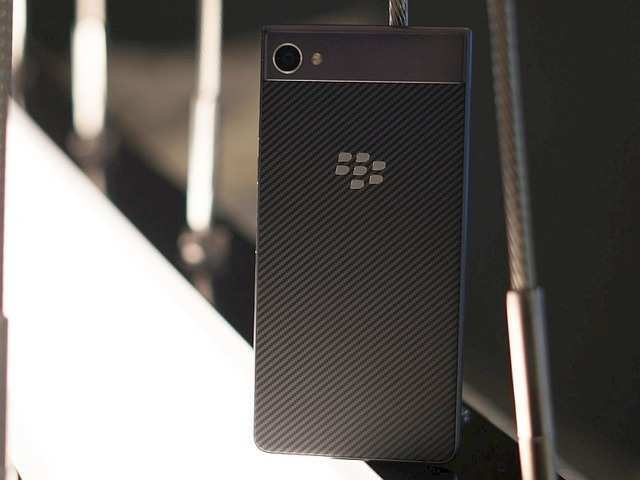 BlackBerry Motion is manufactured by TCL, which received the global rights to manufacture BlackBerry smartphones in 2016. Running Android 7.1 Nougat out of the box, the smartphone unlike most of its siblings, comes with a full touch screen. It has a 5.5-inch full-HD (1080×1920 pixels) LCD display with 16:9 aspect ratio. Powering the smartphone is a mid-range Qualcomm Snapdragon 625 processor, clubbed with 4GB RAM. The smartphone is said to sport 32GB inbuilt storage and a 4000mAh battery. There is a 12MP rear camera with f/2.0 aperture and an 8MP front-facing camera onboard. BlackBerry Motion is IP67 rated, which makes it dust and water resistant. It comes with familiar BlackBerry supplications such as BlackBerry Calendar, BlackBerry Boost Charging, and the BlackBerry Hub. BlackBerry recently confirmed that it won’t be bringing Android Nougat OS to its BlackBerry Priv. “We do not have any plans today to bring [the BlackBerry Priv] to Nougat,” said Alex Thurber, general manager of BlackBerry Mobility Solutions in a podcast conversation with UTB Blogs website last month. Motion may get Android 8.0 Oreo. There is no confirmation for now. The news came from Alex Thurber, general manager of BlackBerry Mobility Solutions in a podcast conversation with UTB Blogs website.